Last week, I was talking to an artist about potential shows for their first national tour. As a relatively new band, they didn’t know what kind of turnout would be there in several of the markets, even though they’ve had some prominent national press. Naturally, without a solid tour history, many of the promoters were unwilling to provide a guarantee – they only offered door deals to the band. The band told me that the shows needed to have a good turnout or money to make it worthwhile. Of each show, they asked me, is it worth it? The week before that, I was talking to an aspiring author who was finishing up his first novel. I recommended talking to an editor to help with grammatical structure, word choice, and pacing, which is especially important for works of fiction. However, when he saw the price range of professional editors, he asked me, is it worth it? Whether you are looking to expand your career with new equipment, investing into a tour, hiring a publicist, or deciding whether or not to play a show, no one can answer the question of worth for you. However, if you don’t have your own metrics, how can you even answer that for yourself? In any business, this is referred to as your return on investment (ROI). While businesses usually only measure financial information (how much money is made on a particular decision), it’s much more complicated for artists. The Money: This is the easiest way to get a direct figure – how much money comes in versus how much goes out? For merchandise, this can often be measured as profit – spending $1,000 on CD’s that will bring you $10,000 can be a type of return on investment. For a show, this could be the final payout minus expenses of doing the show (gas money, food, lodging, promotion, etc.). Exposure/Publicity: This has to deal with how many people will be exposed to your art, music, or message as a result of an action. For example, an ad campaign for your band might be viewed by 500,000 people, solid radio play, or the headcount at a show care all ways of determining exposure. Satisfaction: While the notion of “art for art’s sake” isn’t as popular of a notion these days, measuring the amount of fun or personal satisfaction from an effort is important. Many people want to give up the jobs they hate, even if the money is good. If you only played soul-crushing shows, you would get tired of that eventually as well. The Relationships: Sometimes, you do things specifically to build up a strategic relationship. Whether this is a super-fan, a sponsor, or potential music business contact, sometimes the biggest payoff can be establishing or developing a key relationship. The Cause: If you have a strategic philanthropy element in your band’s business plan, sometimes your ROI could be measured by the amount of good an effort can create for others. For example, a fundraiser to help someone in need could be worth it to you even if it doesn’t land you a record deal from it. Inspiration/Growth: Some efforts lead to personal growth or inspiration that can deepen your experience as an artist, which allow you to create better music. Skills/Lessons Learned: Another way of measuring ROI could be knowledge that is gained. For example, learning more about your target audience, the markets that you want to focus on, or how to fix your tour vehicle could provide invaluable ROI for the future. There’s no universal formula or set of standards for all musicians. You’ll need to figure that out for yourself. However, if you are playing in a band, I would recommend that you at least have a discussion on how you plan to measure ROI for your group’s decisions. Expectations might be different from each person, so clarifying individual goals is important. It can impact many areas, including: when/where to tour, how much merchandise to order, whether or not you should submit to a record label, and if you should accept that SXSW invitation or not. 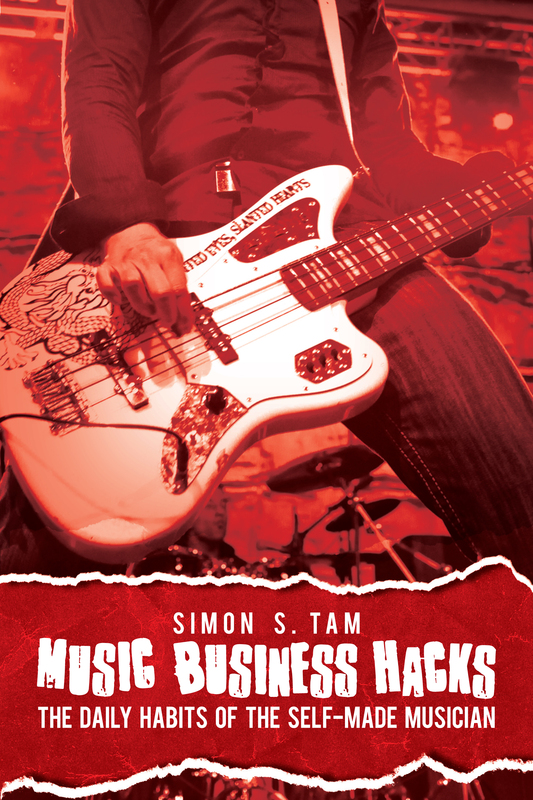 Your band loses $1,500 on two week tour from playing shows with low payouts. Even worse, the tour van came back with issues and needs $1,000 of work. However, during that time, you got to play for a few hundred people, saw cities that you’ve always wanted to visit, and had some incredible memories with your bandmates. Was it worth it? You spend $200 on Facebook ads. 10,000 people saw the ads but only 1,200 clicked through – of those, 100 ended up following your page and joined your email list. Was it worth it? You accept an offer of $3,000 to play a large show even though your lead singer can’t make it. The show is awful and you’re embarrassed at the performance even though you now have a few thousand dollars. Was it worth it? You agree to pay $15,000 to buy onto a 30 day tour opening for an up and coming artist. You don’t get paid for any shows, you only get a 20 minute set per night, and you lose an extra $5,000 in expenses. However, you now have 500 new fans on your email list who indicate some interest and can now brag that you toured with this group. Was it worth it? You hire a publicity for a campaign to promote your tour. It costs $3,000 and lasts for a few months. You don’t get many features or reviews, but it does help you get shows confirmed for the tour and you’ve never received press for your music previously. Was it worth it? You buy a new guitar amp for $2,000. It doesn’t lead to any new fans but you get a much better tone on stage. Was it worth it? In each instance, different artists will have different responses. What would each member of your band say? Sometimes, your return on investment might not be fully realized until later on so it can be even more difficult to measure ROI unless there is some kind of baseline. Until you develop an idea of what you want to measure and how those metrics play into your long-term goals, you won’t be able to answer that for yourself. How do I get in touch with you about your services?